We think Ammbr should win this poll for the Best Company Building Wifi Access Points Powered by Crypto. And you can EARN the LARGEST AMOUNT OF AMR given away so far. But you have to hurry! READ THE RULES CAREFULLY. IF YOU DO NOT FOLLOW THE RULES YOU WILL NOT BE AWARDED TOKENS. Again – YOU MUST COMPLETE BOTH OF THESE TO GET THE 100 AMR AWARD! CoinClaim team wishes you a Happy New Year! CoinClaim is happy to announce a partnership with Top 40 exchange p2pb2b.io ! 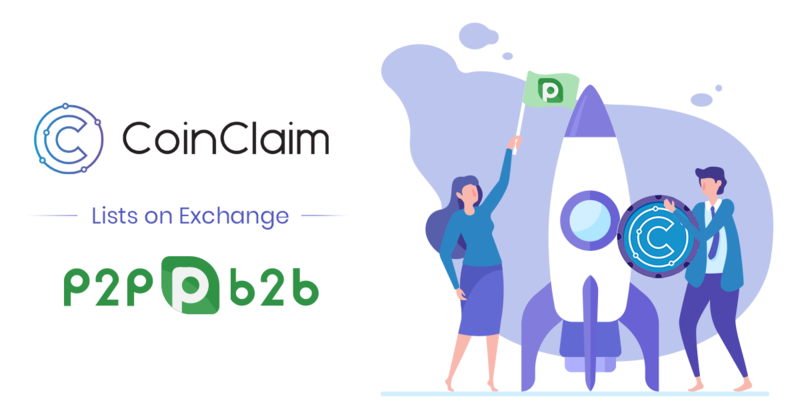 P2pb2b.io is an exchange with major growth plans for 2019 and we’re proud that CLM and CoinClaim will be a part of it. CLM will list with three trading pairs – BTC/ETH/USD. 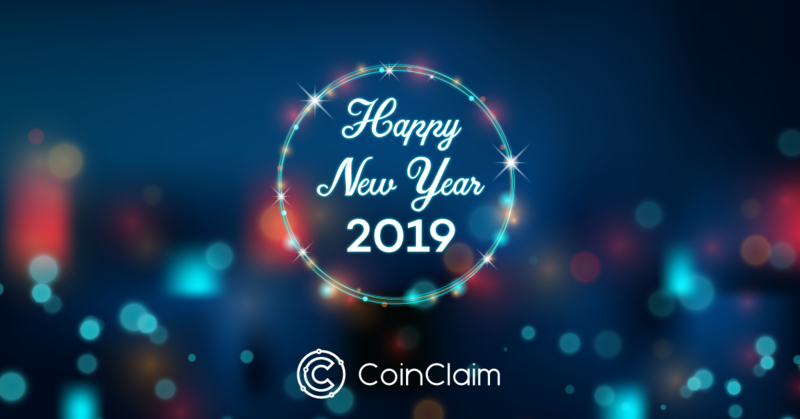 2019 certainly looks bright for CoinClaim! Thanks for being a part of it. 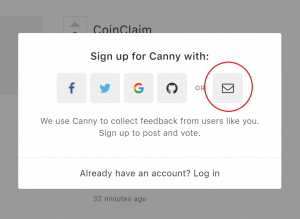 We think CoinClaim should be listed on Blockfolio and we need your help. So we are starting a campaign where you can earn 25 more CLM for helping us get listed. Here are the rules. Click here to visit our voting page on Blockfolio. Create a new Blockfolio account using your CoinClaim username as your Blockfolio name. This must be entered EXACTLY THE SAME AS YOUR COINCLAIM USERNAME. If it is not, you cannot get the tokens. 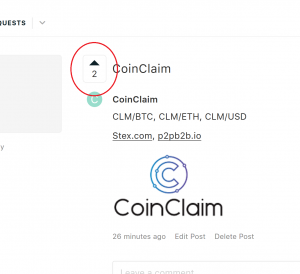 Upvote CoinClaim by clicking the Upvote button on the CoinClaim voting page. Please leave a good comment about CoinClaim. When the campaign is finished, we will automatically add 25 CLM to the username account you used in Blockfolio and CoinClaim. One of the best strategies for a viral social media marketing campaign is to get users to engage with you and our Twitter feed is evidence of how well our platform has done in its pursuit of this particular goal. At the time of writing, our ongoing test campaign for CoinClaim’s automated crypto bounty program has seen our product’s exposure grow beyond our wildest dream. We have already discussed the key metrics proving how our brand has grown on social media, and now we’d like to zoom in on how Twitter users have actually responded to our project. The figures above highlight exactly how well Twitter has responded to our campaign, with 36 700 mentions and counting in December and more than a million tweet impressions. This kind of brand exposure is a metaphorical gold mine by all standards, especially for a small business. And what’s more is that we have received overwhelmingly positive feedback. Above are just a few examples of the streams of tweets endorsing CoinClaim as a promising platform that is set to take social media marketing by storm. 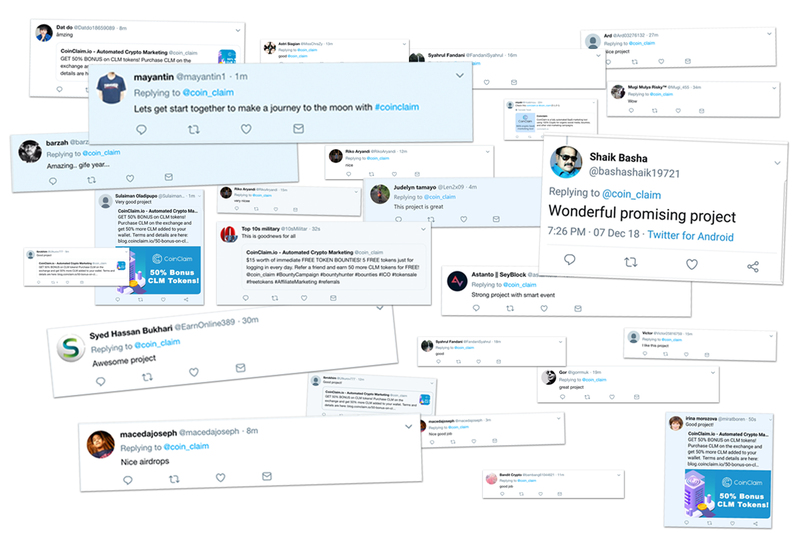 It is a dream response, especially when users like @mayatin1 tweet “Let’s start together to make a journey to the moon with #coinclaim [sic]”. There is no other social media marketing strategy that has ever achieved such a great response in so little time and, as our platform grows, the results will be even better in the future. Every company that joins our revolution is bound to send shockwaves throughout their respective industries. Needless to say, we have been flattered by the responses and we thank all of you for being part of our journey from the start and we are incredibly excited to justify your praises and repay your loyalty. FAQ: Why Can’t I Withdraw Less Than 1000CLM? As our user-base continues to grow, we would like to address one of the most frequently asked questions posed by our users, which is why we have set a minimum withdrawal policy. If you have registered as a CoinClaim user and have completed tasks and collected your CLM, you are able to withdraw your CLM and deposit it into a wallet of your choosing, but you will note that you can only withdraw amounts of 1000CLM or more. And it’s perfectly reasonable to wonder why. So we’d like to give you the best answer we can. The reasons behind this are threefold: Transaction fees, token value and security. Firstly, as more and more people get involved with our project (as things stand, there are already more than 35000 of you), there’s bound to be a substantial number of people trading CLM and these transactions aren’t free. Sometimes a transaction can cost as much as $0.25 and by restricting withdrawals to people that have at least 1000CLM we will reduce those fees. Withdrawing 20 CLM, for example (valued at roughly $0.30 at the time of writing) at a transaction fee of $0.25 is simply not viable. 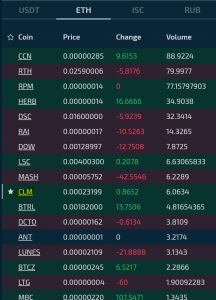 Secondly, with CLM already trading on two exchanges. We have to keep exchange liquidity and the value of the token in mind as we grow. Once the time comes for CLM to be listed on a larger exchange, this will no longer be a problem, but as we emerge from our beta launch and our token remains somewhat volatile, it will devalue our tokens if thousands of users rush to the exchange to sell and therefore nobody would benefit. Finally, as is the case with all new technologies and systems, we do have some bugs to work out and, at this phase of our development, we have to remain aware of anybody looking to exploit our system. By setting a minimum withdrawal policy to 1000CLM, we are able to spend more time analyzing accounts to protect our business, as well as our company clients’, which in turn allows us to keep offering you bounties. We are incredibly pleased about the rate at which CoinClaim is currently progressing and the smoothness with which our automated bounty system is operating and it is imperative to us that our users have a fulfilling experience and that our client companies are able to achieve their goals, but Rome wasn’t built in a day and we will be exercising extreme caution until we are certain that we have a platform that is completely safe from malicious users and a token that is stable in value. Our minimum withdrawal policy, we believe, will serve to ensure that CoinClaim continues to succeed in revolutionizing viral organic social media growth and we hope that our users continue to enjoy our platform and give us valuable feedback on matters such as this. 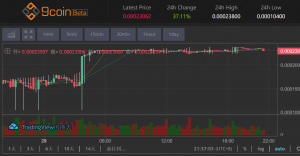 CoinClaim is buzzing! Our automated bounty program has reached unprecedented levels of success and we have the analytics to prove it. Note: the unabridged version of this blog post can be found on our Medium page, where we provide the full analytics and an in-depth analysis of the CLM test campaigns. Social media marketing is a difficult challenge, but is also truly essential for the growth of any business in the digital age and creating viral content through organic growth is what separates a good marketing strategy and a great marketing strategy. Our team of experienced marketing specialists have taken a revolutionary concept and found the answer to turn your business into a brand. Our concept is a marketing tool using 100% crypto for all marketing campaigns, including bounties. By adding cryptocurrencies into the mix for social media marketing, we could create an incentive for everyday users to share content wherever they can in exchange for a small payment of cryptocurrency. 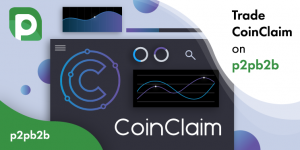 We spent the majority of 2018 developing the CoinClaim platform, which automatically rewards users with our internal token (CLM) in exchange for promoting your brand, product or token. 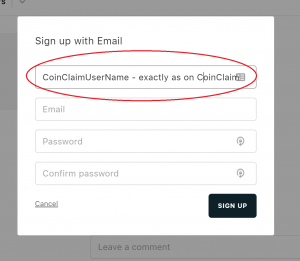 The system works with Bitcoin, Ethereum or any ERC-20 token and businesses can easily set up a profile when registering at coinclaim.io. From there, they can use a simple wizard to create a campaign where you set out the tasks for users to complete in exchange for CLM. Users can simply register and browse through the series of tasks and pick which ones they want to complete. As is the case with any software, we have had a few bugs to work out, but we recently began a test campaign using CLM to ensure that everything is running smoothly before we offer our solution to clients. And, as high as our expectations were for CoinClaim, we have been blown away by its success so far. Traffic to the website increased by 1,400% once the platform kicked into gear. CoinClaim’s Bounce Rate is currently 31.8%. 27% better than the average bounce rate of 58.8%. We advise you to check out the aforementioned Medium post and take a closer look at our numbers, but it’s suffice to say that our test campaigns were a resounding success. The figures presented are completely unprecedented and our numbers are growing by the day. Yet, while we have been taken aback by the extent to which we are succeeding, we are confident that we are starting to realise the goals we set out to achieve this year. For now, we have built up a solid user base, which takes us to the next phase of our project, building a company client-base, who are ready to leverage our large user database and experience explosive organic growth like we have. With regards to the latter, stay tuned for a big announcement in the next few days! We wanted to let you know about an update to the referral program terms for the CLM token. This is only related to the CLM token referral program and not any other client token bounties or campaigns. As you know, CoinClaim awards you 50 CLM tokens for every referral you make. In order to release these 50 tokens, we originally required your referral to earn 600 CLM of their own. The idea behind this is to ensure that real active people are being referred. This helps us reduce fraud and continue to operate and give value to the CLM token. We made the decision today to reduce the number of tokens required by your referral to earn in order to unlock referral bonuses. We have changed the requirement to 475. Any user of CoinClaim can earn an easy 455 by claiming all available bounties + the daily log in bonus. This leaves either 4 days of daily login bonuses by your referral or one referral made by the person you referred. We believe this is fair to everyone. Please understand that CoinClaim is a business and we need to be sure the system is protected above all else. If we have to discontinue the referral program because of abuse, it would be unfair to those who play by the rules. A fair system makes your tokens more valuable. We will be announcing a CLM withdrawal policy early next week. 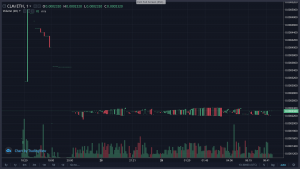 CoinClaim tokens (CLM) have already been trading at extraordinary levels since going live and we are now incredibly pleased to announce that we will be listing on another exchange, which we believe will be another success for us as our tokens grow in value. Firstly, we’d like to thank all of you that have backed us since going live on 9coin.com exchange roughly three months ago. At this time, the heavy trading volumes that we achieved have exceeded all expectations, but we aren’t resting on our laurels and are determined to continue on this path. We are incredibly pleased to announce that we have now listed on Stex.com, where our initial results are looking incredibly promising at the moment. At the time of writing, CLM is the 10th most traded ETH token on Stex. If you’d like to trade on Stex, you can find our live trading chart here (https://app.stex.com/en/basic-trade/pair/ETH/CLM). Stex has listed over 2000 cryptocurrencies in more than 15 000 markets with a market cap of just short of 150 billion and we believe they can form a critical part of taking CLM to the next level.